California Gov. 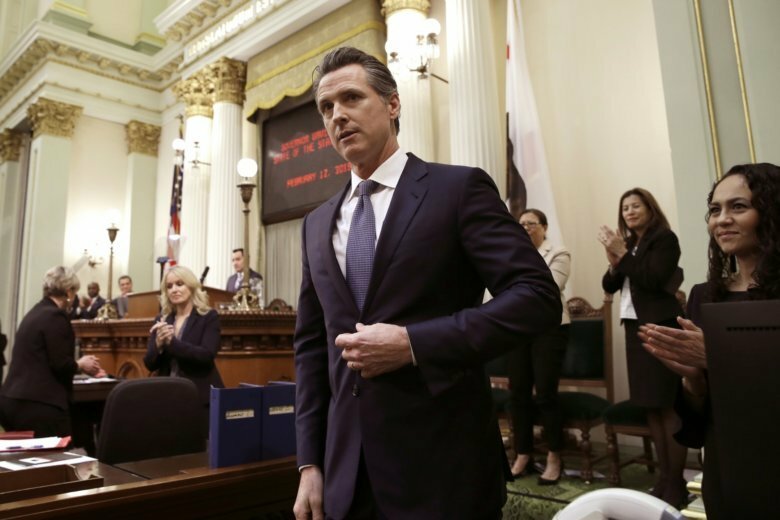 Gavin Newsom says the Trump administration is engaging in “political retribution” by trying to take back $3.5 billion granted for the state’s high-speed rail project. The Democratic governor says President Donald Trump is reacting to California suing over Trump’s emergency declaration to pay for a wall along the U.S.-Mexico border. Newsom says California won’t sit “idly by” and will fight to keep the money. The federal money comes with certain requirements that the Trump administration says California won’t meet. The state has already spent $2.5 billion on the planned train between Los Angeles and San Francisco. The Trump administration plans to cancel $929 million in U.S. money for California’s beleaguered high-speed rail project and wants the state to return an additional $2.5 billion it’s already spent. The U.S. Department of Transportation announcement Tuesday came after threats from President Donald Trump to make California pay back the money awarded to build the train between Los Angeles and San Francisco. The project has faced cost overruns and years of delays. The Trump administration argues California hasn’t provided required matching dollars and can’t complete work by a 2022 deadline. Gov. Gavin Newsom’s office and California rail officials didn’t immediately comment. Last week, Newsom said the rail project “as currently planned, would cost too much and take too long.” He wants to refocus on building a line in central California.